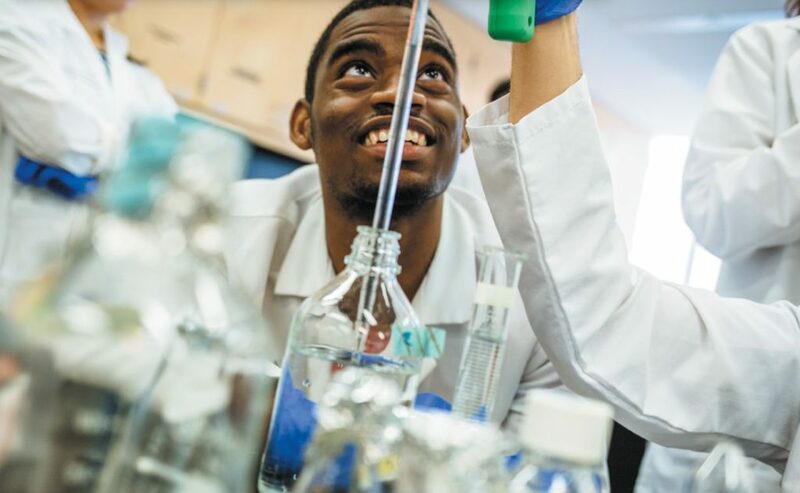 Combining rigorous academic preparation and work with a scientist on an authentic research project, The Pinkerton Science Scholars Program aims to provide a transformative educational experience for talented high school students from disadvantaged backgrounds. The program builds on the success of the Science Research Mentoring Program developed by the American Museum of Natural History. In 2013, the Foundation supported the development of a template based on the museum’s model and convened strategy sessions with other science-based institutions. Thanks to Pinkerton funding, seventeen other institutions— ranging from Rockefeller University and the NYU School of Engineering to Cold Spring Harbor Laboratory and research institutes at Columbia and multiple CUNY colleges—now offer the intensive mentoring experience. Almost 1,000 students have completed the classroom, lab and presentation requirements to be designated Pinkerton Science Scholars. With an additional $10 million pledge last year, the Foundation will extend the experience to at least 1,500 more students by 2021.